If you can’t predict the future of digital marketing, raise your hand. Marketing trends are always changing and catching experts off guard. It makes it hard for businesses to be at the cutting edge of promotion, but that’s what’s so great about digital marketing. It’s unpredictable. Looking back on the last couple of years, we maybe should have seen geo-marketing and the rapid growth of SEO coming. It’s not surprising that companies have leaned into customer convenience. In order to get a head start on 2019 marketing trends, we’ll have to look at what’s been happening and infer how those things might develop in the next year. 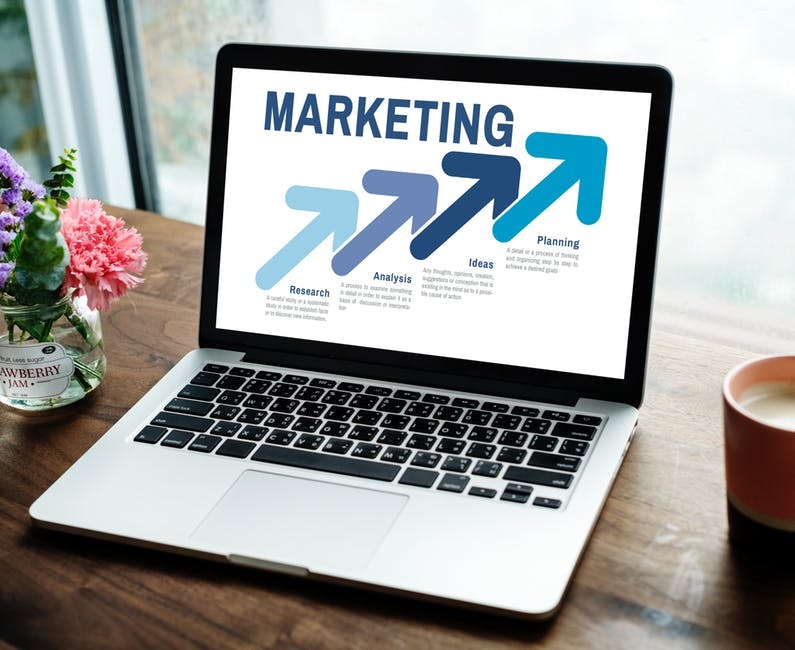 In this article, we’re going to look at 12 marketing trends to keep an eye on this year and how you can enact them to achieve success for your business. Listen up, you don’t want to be reading the “2019 marketing trends that surprised us” article at the beginning of next year. Marketing on Facebook is getting complicated in 2019. The huge data breach from last year affected 14 million Americans, but miraculously it remains the most popular social media platform. If the weaponized political propaganda continues into the future, we might see more people drop the ‘Book, though. Over 40% of Facebook users are senior citizens now. That makes it still an incredible resource for companies that market to that demographic, but its numbers are dwindling among young folks. Young people don’t trust Facebook anymore. In marketing circles, this means that you’d better do some good hard research into who you’re trying to appeal to. If you’ve got a product that can be enjoyed by people of all ages, targeted marketing could work on Facebook to get that 65+ age group. If you’re going after millennials and gen Z, then you might sooner leave Facebook out of your plans. On the contrary, Instagram is alive and well with the youth in 2019. Oh wait, didn’t Facebook buy Instagram a couple years ago? Yes, yes they did. So you’re giving Zuckerberg your hard earned marketing dollars no matter what. What makes Instagram so popular is its simplicity. Smartphones are our whole lives and Instagram makes use of the two things that young people love doing the most. Peeking into other people’s lives and looking at pictures. This presents companies with an unending marketing opportunity. Instagram’s 1 billion users are predominantly 30 and under, so this is where you go to show your product to that ever-important demographic. Many companies have already been using Instagram extensively for marketing, but expect that to increase throughout this year and beyond. AI is advancing, as we know. Expect to see this touch the digital marketing sector. Right now, AI is used in our every day without us even realizing it. It analyzes data, it targets leads almost immediately, and it does things that humans cannot. As it progresses, we’ll see AI take control of digital marketing by monitoring people’s patterns as consumers in real time. This will allow companies to more accurately appeal to people. Is it ethical? Maybe not, but it’s going to happen. Content is what we’re all after. It’s what media and marketing companies strive to put out so much of and it’s what people enjoy consuming. Unfortunately for a lot of companies, young and old, their content is just not up to snuff anymore. In 2019, expect the need for high-level, well-produced content to come to the forefront. At the heart of this trend will be problem-solving. A lot of content that has been produced in the last few years is used for the strict purpose of getting traffic to the site. That’s going to change. Moving forward, content will have to have a purpose. It’ll need to solve the consumer’s problem. Great writing, high-quality audio, and video, and really well thought out calls to action will be at the precipice of content creation. SEO will go far and beyond what it’s been so far. In 2019, as in 2018, marketing goes where SEO takes it. As it develops and becomes more sophisticated, we could see the trend move towards answering queries in the simplest form possible. Furthermore, the results will return via the user’s preferred medium. If the audience prefers images, they’ll get a picture. If they prefer video, a video will turn up, and so on. It’s all about customizing results for the searcher. We might even see typical follow up questions displayed in results to streamline queries. If someone types in “Was John Keats Irish?”, a SERP might show you a wiki on John Keats, who was in the search term, AND a wiki on WB Yeats, who is an Irish poet. In terms of marketing, it means that your website will need to be optimized in this manner. If a customer wants to know something that you have but doesn’t quite know how to ask, your website needs to be prepared to direct them to your product. Piggybacking off of the last point, on-page optimization will be the way to win customers in 2019. When someone does reach your page, you have to be able to sell them on what you’ve got. Optimize your page by including content that gives answers to common questions, making sure that your in-site search bar returns good results, and making sure that your repeat customer’s common orders are easily replenished. Geo-targeting took the SEO reigns in 2018. People want convenience and you can give it to them by being well set up with localized SEO. This is only going to become more important in 2019. Expect it to get more precise, as well. The simple fact of the matter is that people value their time, sometimes more than the service that they get. If you’re the best darn hot dog vendor in Boston, that’s great, but you need your geo-marketing to be on point to get people in your area that want a hot dog to come to you. We’re at the point now where your location matters. When someone’s searching for a hot dog vendor, it’s probably going to be using the map function on their phone. If you’re in Allston, you should be the first thing that comes up when someone searches for “best hot dog Allston”. Soon, it’s going to get even more specific. You’ll need to have the precise intersection that you’re set up at to render the best results. It’s good for you as a business to be able to market so specifically because, with those specific search terms, you know you have a good chance of getting a paying customer. It’s wild to think about, but the old end of the millennial generation are well into their thirties now. As gen Z comes out of college into the workforce, we’ll need to get used to how they relate to marketing. It took a long time for businesses to figure out how to appeal to millennials at the beginning. It feels like companies are only just getting it now. In 2019, marketing will take on a whole new identity with this generation. They’re growing up in a terrifying time, so a shift towards socially responsible companies seems logical. Companies will have to reflect that need in their marketing campaigns. There’s nothing people love more than a good video. When we discussed content, it was brought up that the same old content won’t do anymore. The same is true with video. Videos are an invaluable asset in digital marketing. Combining SEO analytics with digital marketing in a video will be a big trend moving forward. If we can look at how different things are performing by looking at when a user stops watching, or what comments say about certain parts of a video, we can begin to tailor video marketing to get better consumer results. Chatbots are a customer’s best friend in 2019. If you don’t run your customer service through a chatbot on your website, you’re probably frustrating your consumers. As we’ve become so used to texting and email, the thought of talking on the phone to a customer service agent is dreadful. For some, the thought of talking on the phone at all brings on feelings of anxiety. It’s so much more comfortable and anonymous to talk to a chatbot. The global chatbot market is growing by 25% annually, so expect to see more customer service leaning in this direction. This isn’t really marketing, but you’ll please your customers if you can efficiently troubleshoot their problems without making them talk to another human. While videos remain an important digital marketing tool, live video is rapidly gaining popularity these days. Live streaming on Instagram and Twitch are a way for kids to connect with things and people that they love. More businesses will start to see an opportunity here. Kids look up to the people that do all the live streaming, which brings us to our last point. Coinciding with the use of live video as a digital marketing tool, we should start to see the rise in importance of influencers. What is an influencer, you might ask? It’s basically a fancy 2019 word for someone who has a lot of pull on social media. It can be a celebrity, an athlete, a model, someone who makes dumb videos and puts them on Instagram, etc. Anyone, really. Influencers interact with their audience and their audience bow to every word they say. This is already happening, but we’ll start to see more influencers get their slice of the digital marketing pie. Big marketing campaigns with these influencers will become the norm. If you can get your product into the hands of one of these people, you’ll be looking at marketing success. The beauty of it all for companies is that you can turn anyone into an influencer if they have a bit of personality and you give them a platform. Expect to see some companies creating their own influencers. 2019 is sure to be another banner year for digital marketing. Consumers are being advertised to almost constantly now, without realizing it. There’s good and bad to it all, of course. In some ways, you might say that it’s an invasion of privacy to mine someone’s search patterns in order to better market towards them. On the other hand, companies are just trying to get their product in the hands of the consumers that will actually want it, which has always been the case. Let’s see if any of these 2019 marketing trends take hold and then get ready for what might come in 2020. For more articles on the world of digital marketing, visit our blog. While you’re there, check out our web hosting packages to get the best service for your website.